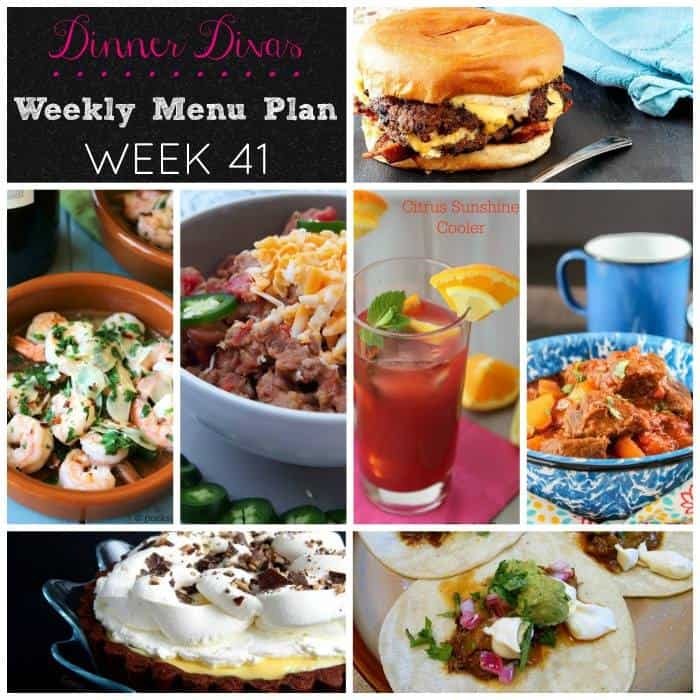 Hi, friends, and welcome to week 41 of the Dinner Divas weekly meal plan posts. Can you believe we are closing in on a year of our weekly menu plans?! We hope you find them helpful and tasty! Please let me know how we’re doing. Just leave a comment down below! As always, you can find all our menu plans in one place in our archives. You can even bookmark it for easy Recipe Retrieval! Soon to Be Famous Chili Recipe from Comfortably Domestic. The full name of this recipe is Son #1’s Soon to be Famous Chili. 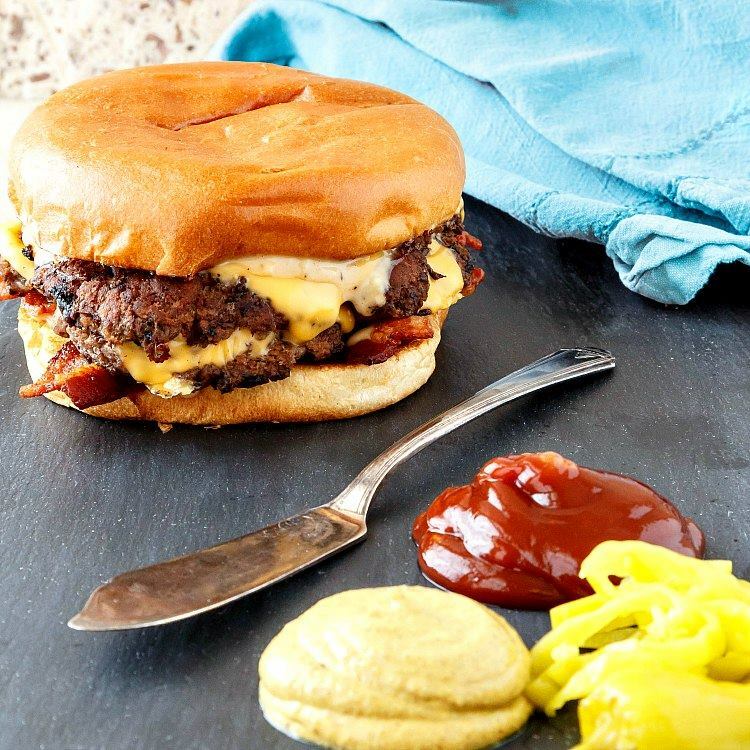 He started out with a Pioneer Woman recipe and has been refining it and making it his own. That’s how all good recipe should work, I think! Plus he styled the food and took all the photos. Go, Son #1! 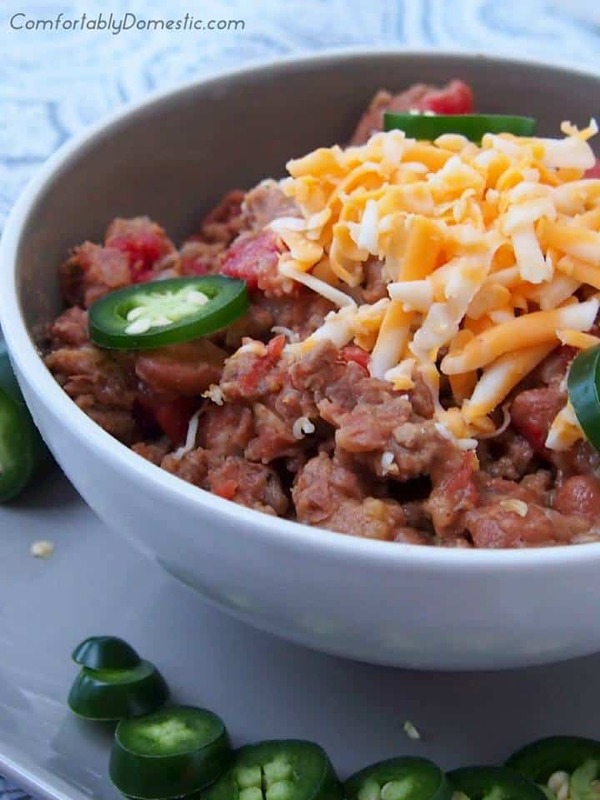 Plus, the chili looks and sounds excellent! Nice way to start off the week! 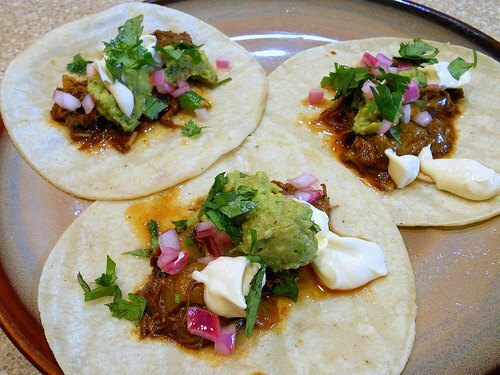 Beef Cheek and Cabbage Tacos from me. These tacos are Very Very excellent! If you’re turned off by the idea of beef cheeks, I assure you that they cook up meltingly tender and delicious. If you’re still leery, any inexpensive cut that benefits from a nice braise will do here. Chuck, oxtail, short ribs–like that. The meat requires a long marinade, so mix it up and put the meat in the night before or in the morning. You can braise as called for in the recipe if you’re cooking on the weekend, but for a weeknight, dump it all in your pressure cooker/Instant Pot and let ‘er rip for about 30 minutes and you should be good to go. Add the fixin’s I suggest or add your favorites. Hooray for taco Tuesday! Smashed Bacon Double Cheeseburgers from me too! This burger, y’all. Please, just make these. And then email me and tell me how much you enjoyed them. These are seriously good burgers, and you need them. You do. Chuckwagon Beef Stew from The Chef Next Door. 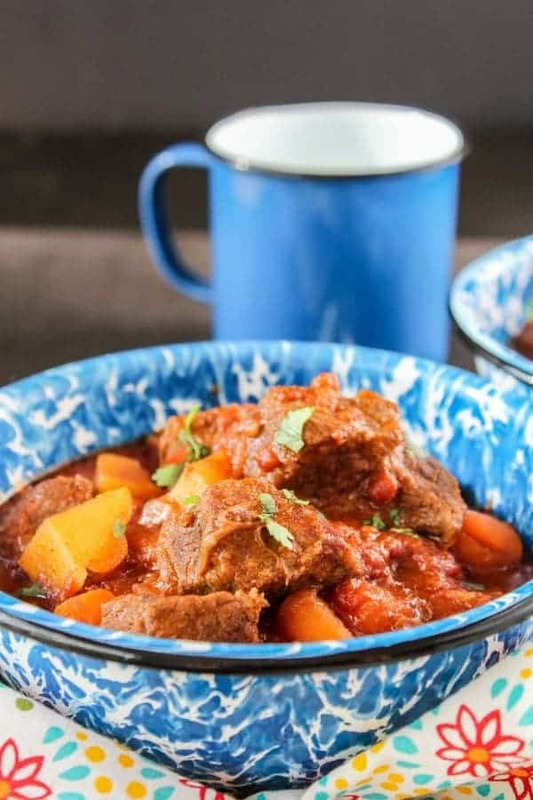 A mouthwatering traditional beef stew with carrots and potatoes with the flavors kicked up a bit with the addition of chili powder. Yes, please. 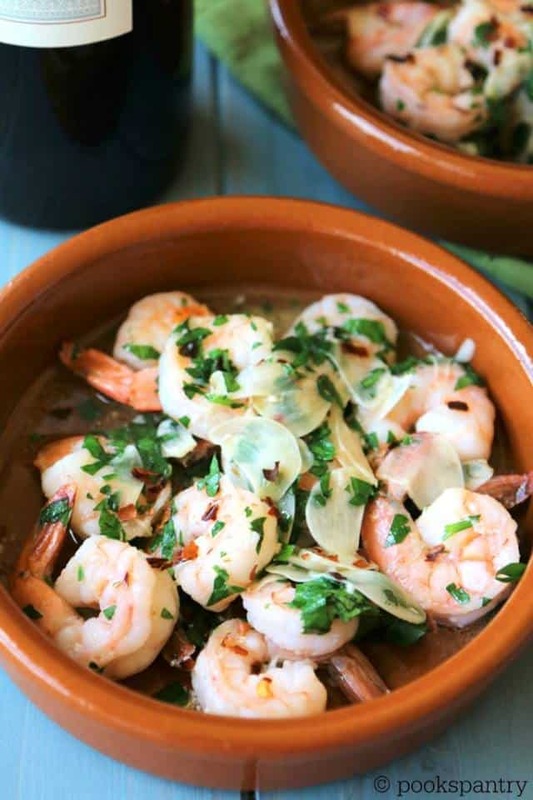 Garlic Shrimp from Pook’s Pantry. A wonderful tapas dish redolent with garlic, this gorgeousness is ready in about ten minutes. Doesn’t get much better than that! 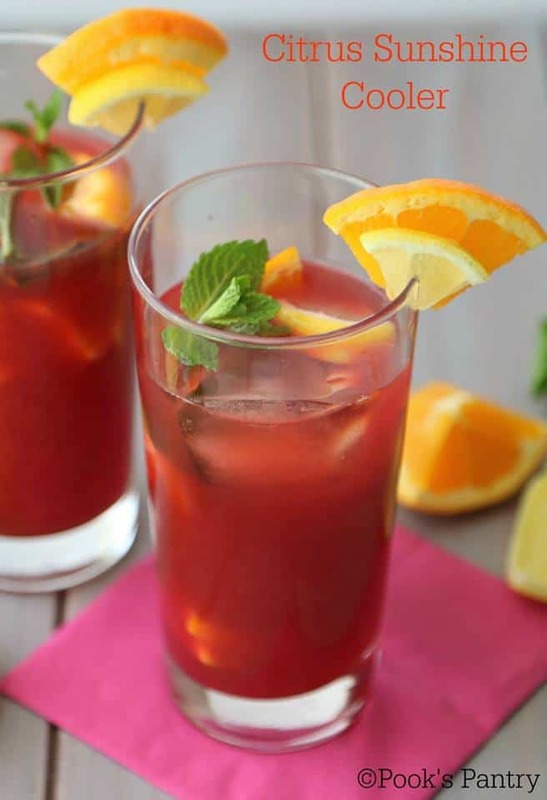 Citrus Sunshine Coolers from Pook’s Pantry. A citrusy pick-me-up in the middle of winter is sometimes just what is needed. Non-alcoholic, caffeine-free, and the prettiest color ever, this is one beverage you are going to love. 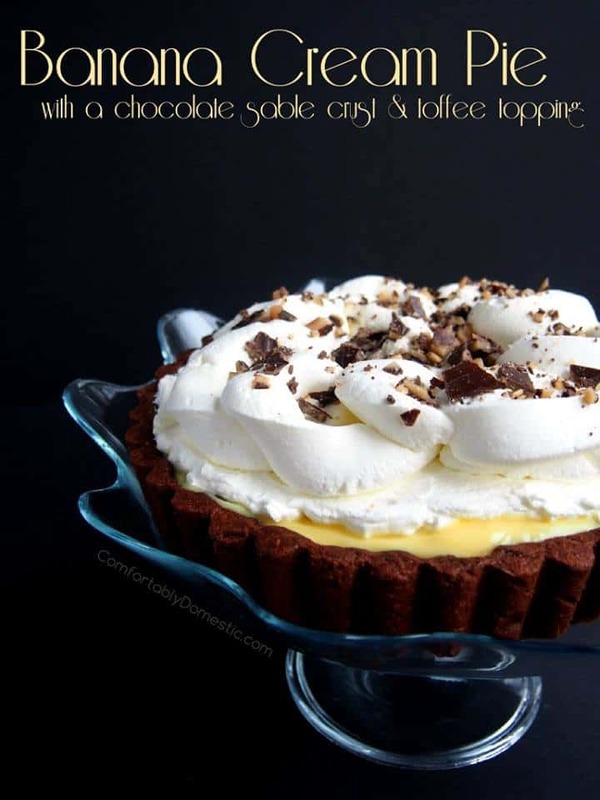 Banana Cream Pie with Chocolate Crust from Comfortably Domestic. I love that Kirsten is sharing this recipe here. Not only is it a gloriously beautiful tart, but it all started with a challenge I issued to make and then fill a chocolate sable tart shell with…whatever. I went with a panna cotta, and Kirsten was inspired to make this beauty. You’ll want to make this, too. Tarts short, so you don’t need to feel guilty if you eat a big piece, right? Right! And now we come to the end of another weekly meal plan post. Thank you so much for spending time with the Divas on Fridays. We all hope you find deliciousness that makes your meal planning just a bit easier. Take care, and have a lovely day. 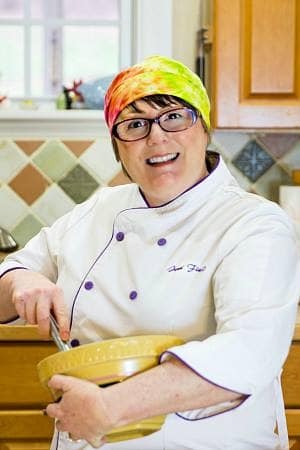 And please don’t forget to head over to The Girl in the Little Red Kitchen, visit, and wish her well in her recovery from surgery yesterday!